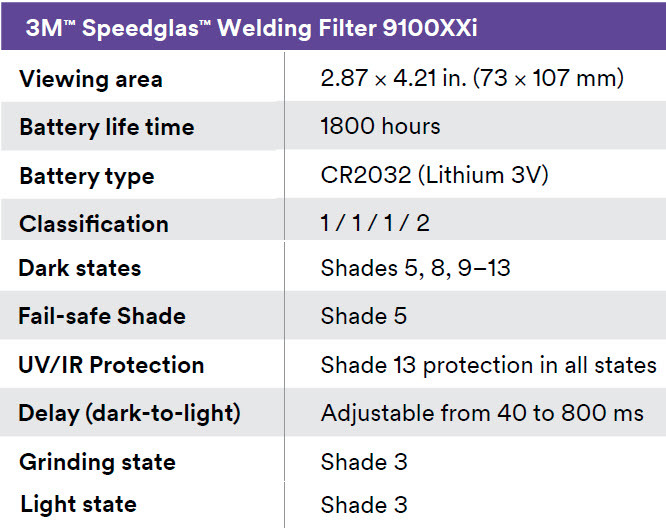 The Speedglas™ 9100 welding helmet with Speedglas™ XXi auto-darkening lens has the greatest optical clarity of any Speedglas ADF ever. 9100XXi lens technology means a more "true" color view of the welding environment while the lens is in light state or grind mode. The dark state view of the weld puddle and surrounding weldment is crisp and clear. The 9100XXi lens also features an external grind mode switch, which allows you to change quickly from weld mode to grind mode and back again, without lifting the helmet. The 9100XXi lens offers a large 12.08 square inch viewing area PLUS these great features: A grinding shade 3. Gas welding shade 5. Micro-plasma welding shade 8. 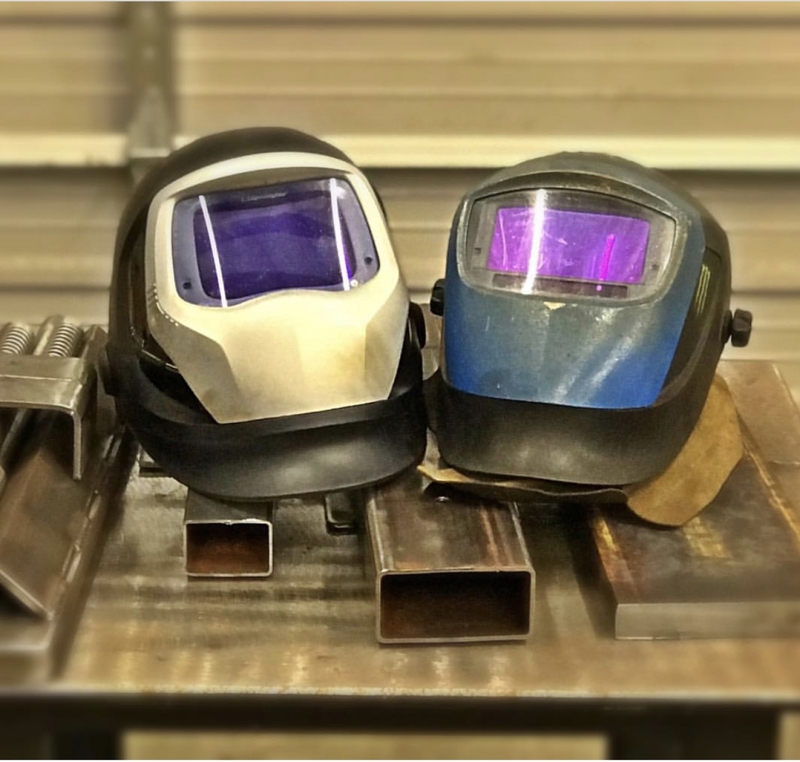 Arc welding shades 9 through 13. Sensitivity settings for normal welding to low-amp inverter TIG welding, and even low sensitivity setting for when other welders are working nearby. The comfort of the Speedglas™ 9100 welding helmet is the result of extensive research and development processes. 3M™ consulted with international experts in ergonomics and anatomy to ensure that the 9100 is the most comfortable and protective Speedglas™ welding helmet ever. The helmet is made from a lightweight, but durable material that meets the mechanical strength requirements of ANSI Z87.1-2003. Increased coverage for lower neck from heat and welding sparks. Increased coverage for ear and side of neck. SideWindows: Exclusive, patented shade 5 filters that widen your field of vision. SideWindows enable you to be more aware of nearby moving machinery, tools and other peripheral hazards. Welders can also use removable cover plates for when peripheral vision would be distracting. Package of 5-Outside Cover Plates, 2-Inside Cover Plates, and 1-Replacement Sweatband for Speedglas™ 9100XX and 9100XXi ONLY. Package of 10 - Genuine 3M™ Speedglas™ Standard Outside Protection Plate. Suitable for 9100 series Speedglas™ welding helmets ONLY. Package of 10 - Genuine 3M™ Speedglas™ Scratch Resistant Outside Protection Plate. Suitable for 9100 series Speedglas™ welding helmets ONLY. Package of 10 - Genuine 3M™ Speedglas™ High Temperature Outside Protection Plate. Suitable for 9100 series Speedglas™ welding helmets ONLY. Package of 5 - Genuine 3M™ Speedglas™ inside protection plate for your Speedglas™ 9100XX or 9100XXi auto-darkening welding helmet. Will a Miller LPR-100 Half Mask Respirator fit well under the 3M Speedglas Welding Helmet - 9100XXi Auto Dark Lens 06-0100-30iSW? 3M Speedglas Welding Helmet - 9100XXi Auto Dark Lens 06-0100-30iSW warranty is 3 years from date of purchase. 3M Speedglas Welding Helmet - 9100XXi Auto Dark Lens 06-0100-30iSW will not accept a Miller headgear. The correct headgear for this item is 3M Speedglas Welding Helmet Headgear 06-0400-51. 3M Speedglas Welding Helmet - 9100XXi Auto Dark Lens 06-0100-30iSW is the same size and weight as the 3M Speedglas Welding Helmet - 9100XX Auto Dark Lens 06-0100-30SW. They both use the same shell and the lenses are interchangeable. Is this product new or refurbished? 3M Speedglas Welding Helmet - 9100XXi Auto Dark Lens 06-0100-30iSW is brand new. How wide is the shell of the Speedglas Helmet? I'm currently running a Jackson BH3, and it does not completely cover my ears. Where my skull cap covers my left ear, my right ear often gets flash burn. I'm looking for the width in inches of the shell where the head gear attaches. Thank you. 3M Speedglas Welding Helmet - 9100XXi Auto Dark Lens 06-0100-30iSW measures approximately 9 1/4 inches wide in the back where the headgear attaches. Does this helmet include a storage bag/ carry bag? How many sensors does this hood have? The 3M Speedglas Welding Helmet - 9100XXi Auto Dark Lens 06-0100-30iSW has three arc sensors. Is this product just the lense or all the helmet? The Speedglas part number 06-0100-30iSW includes the entire helmet with lens. is it possible to order this WITHOUT the side windows?? Can this helmet be upgraded to use Adflo? is this the same as Jacksons balder technology, or does this helmet has some newer technology? Will they sometime offer a DVd with the xxi like the other ones people thought they were a plus to watch. is this helmet as clear as the Miller Digital Infinity lens with the color spectrum? I have an Arc one now and it has a hard time auto darkening outside, would the 3m or the miller be better for outside welding? Can the xxi be set for constant on? The 3M Speedglas Welding Helmet - 9100XXi Auto Dark Lens 06-0100-30iSW has a sensitivity control so that it can be adjusted to ambient light conditions. This should allow you to adjust to outside light and possibly adjust so that the lens will stay constantly dark. can you use a cheater lens with this helmet??? How heavy is the helmet? The 3M Speedglas Welding Helmet - 9100XXi Auto Dark Lens 06-0100-30iSW weighs approximately 23 oz. Does the lens accept standard cheater lens? 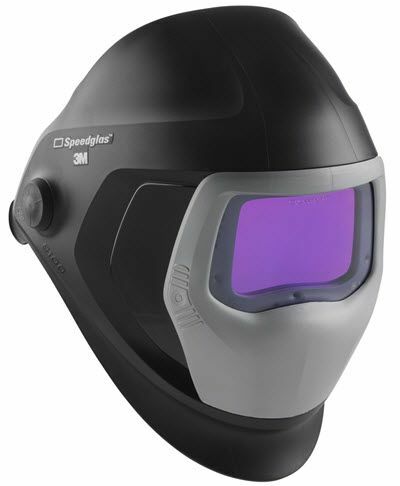 The 3M Speedglas Welding Helmet - 9100XXi Auto Dark Lens 06-0100-30iSW will accept a standard cheater lens. 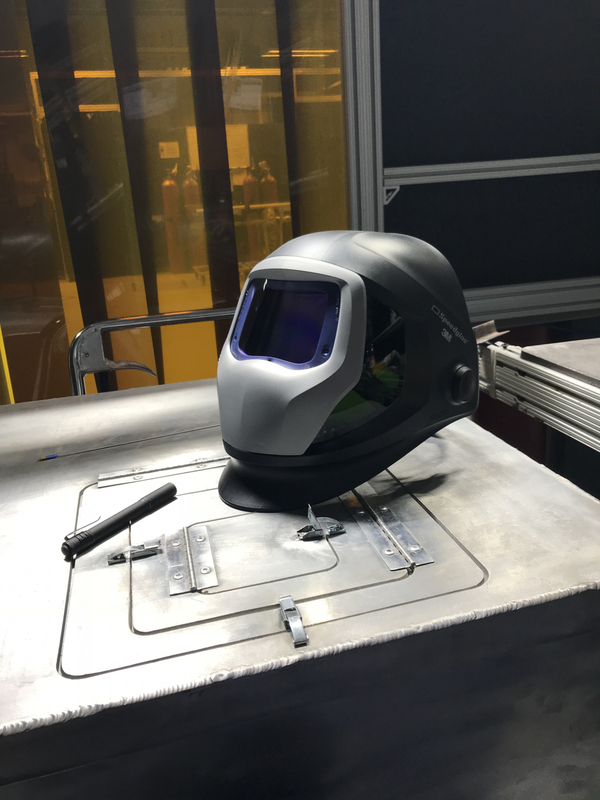 The 3M Speedglas Welding Helmet - 9100XXi Auto Dark Lens 06-0100-30iSW and the Miller Infinity are both the top of line helmet for each brand. Because of the enhanced optics the XXi provides a clearer view of the weld . Is this the newest model with the blue lens? Yes .. The 3M Speedglas Welding Helmet - 9100XXi Auto Dark Lens 06-0100-30iSW is the latest and it has the improved optics. do you guys offer a black Friday deal? There are no plans to offer a black Friday deal on the 3M Speedglas Welding Helmet - 9100XXi Auto Dark Lens 06-0100-30iSW. Do the batteries go into the bottom of the lense like the 9002x? I've had a cpl of the 9002x's quit working due to sweat getting inside the battery inserts. 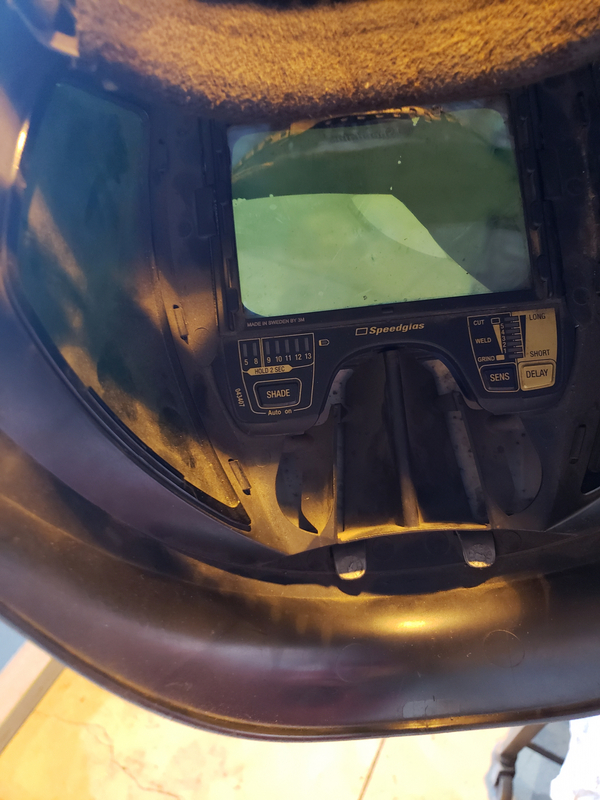 The batteries are located on the bottom of the 3M Speedglas Welding Helmet - 9100XXi Auto Dark Lens 06-0100-30iSW lens. Does speedglas come with a warranty? Is the 3m speedglas 9100xxi helmet more clear than the Jackson true sight 2 with balder technology? Or what about the Jackson bh3 blader? I can't decide! Also how much does the 9100xxi helmet weigh? 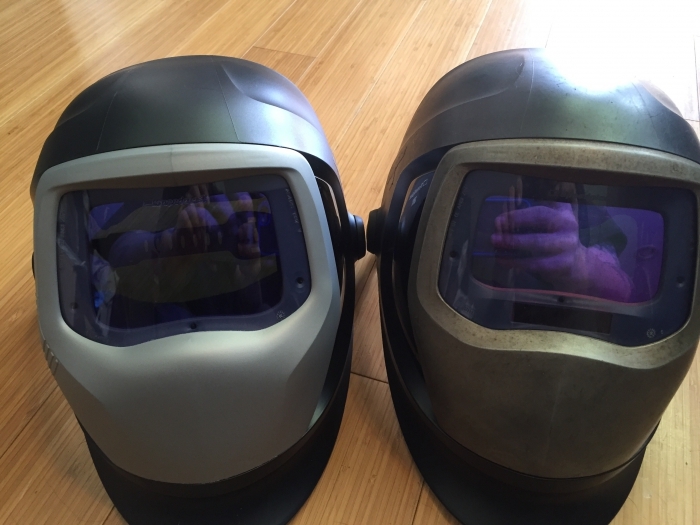 Comparing the 3M Speedglas Welding Helmet - 9100XXi Auto Dark Lens 06-0100-30iSW and the Jackson Truesite II you will find that the clarity of the weld arc in the auto darkened state to be very good and very close in comparision. The Speedglas XXi is much clearer when in the grind or lens off mode.Both the XXi and the Truesite II are slightly clearer the the Balder BH-3. The 3M Speedglas Welding Helmet - 9100XXi Auto Dark Lens 06-0100-30iSW weighs approx 22 oz. 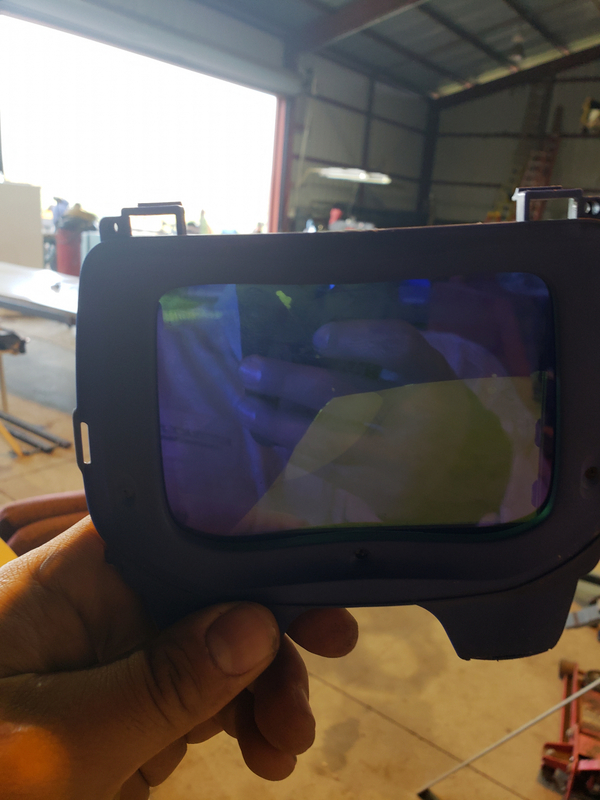 Comparing the 3M Speedglas Welding Helmet - 9100XXi Auto Dark Lens 06-0100-30iSW and the Jackson Truesite II you will find that the clarity of the weld arc in the auto darkened state to be very good and very close in comparision. The Speedglas XXi ia much clearer when in the grind of off mode.Both the XXi and the Truesite II are slightly clearer the the Balder BH-3. The 3M Speedglas Welding Helmet - 9100XXi Auto Dark Lens 06-0100-30iSW weighs approx 22 oz. Is the shield hard hat adaptable? The 3M Speedglas Welding Helmet - 9100XXi Auto Dark Lens 06-0100-30iSW can be installed on a hard hat. You will need to use the 3M Speedglas Hard Hat Adapter - 9100 Series 06-0014-00NR to complete the installation. Though this is a top of the line hood, its exactly as I imagined. I've only used it twice both times about 3 hours continuous. It's clear, vents well. I'm no expert welder but I can appreciate its large view, phenomenal settings. 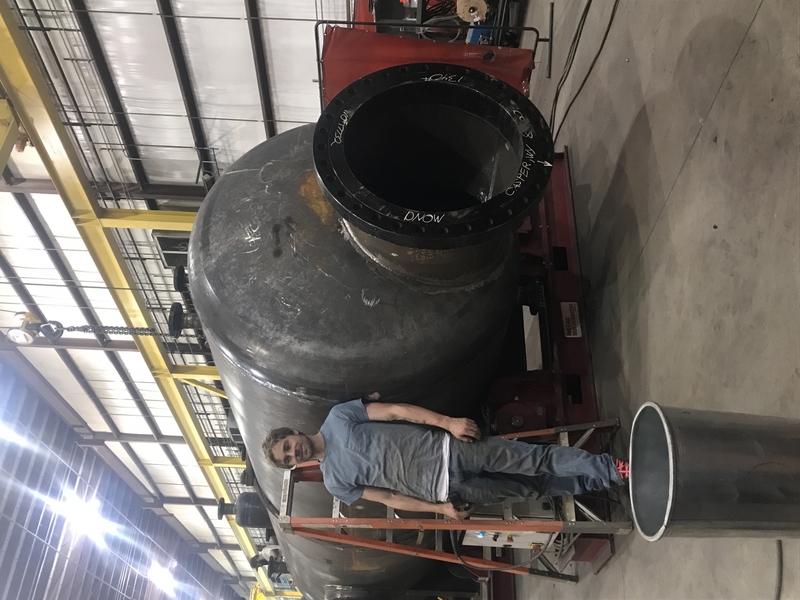 At my work I am a metal fabricator worker; machining, fabricating, modification, welding, etc. I almost purchased a Miller Infinity but I decided to pay a bit more cash and go with the 9100XXi. I honestly don't know if this unit is better, inferior, or equal to the Miller unit but I can tell you that I really like my 3M welding helmet a lot. It's a great unit and do recommend it to others. The new lens is great and much better than the digital elite I've had had for 6 or so years. I've used this line of hoods before, specifically the 9100x and it was great! I'm comparing this hood to the digital elite and Jackson HSL100. ConsThere is no solar panel to help with keeping the batteries charged. There are only 3 arc sensors that are located ALL at the bottom and I've flashed myself several times now. Getting used to it is fine, but if/when I have to get into a funky position it may cause issues. The lens doesn't have an "x-mode" for outdoors and will darken if there is sunlight. We have Windows in our shop. I turned down the sensitivity to help, but then undarkens too soon (for me) after I lay a bead. This shield is abnormally large. The plastic has sharp edges. The front silver heat shield is going to snap off in no time, very flimsy. The headgear is also very flimsy at the joints. The shield is also on the heavy side. I'm sure the lens is top notch but never bothered to strike an arc with it due to the poor quality of this shield. Sending it back. I expected alot more from this top of the line Speedglas. excellent weight and technicolor. terrible durability! I am a tig welder in the aerospace field and was looking for a helmet with great clarity and lightweight and I'd have to say this helmet was everything I hoped for! Very clear and I never get flashed when having to weld in the box chamber! I would recommend this helmet to anyone looking for a great overall hood! ProsGood helmet , very nice!! The clarity is still unbelievable each time I strike an arc. The colors of the puddle are true life. I have to recommend this hood to all. I've been using budget helmets for the past fifteen years and cannot believe the difference in the clarity, brightness, huge field of vision and lightning fast response time, no more flashes! I can't recommend this helmet enough. I sold my 9100xx that was bought 8 years ago and upgraded to 9100xxi, the clarity is much better and the headgear are much comfortable to wear for somebody like who got a smaller head like me, it's way better than the previous model. You can't go wrong with Speedglas, you can't compare it with other brand that normally made from China. If you want high quality ADF, speedglas is the best choice. I gave it a 4 star because of the silver cover button, it just hard to press it for mode switching. ConsButton on the silver cover, hard to press and nothing like what they advertise on the video. really hard to press it, still thinking how to modify that button make it more easy to switch from grinding to welding and vise versa. I already own a 9100X and love it, so I got the 9100xxi because of the exterior grinding button. It is amazing, the clarity is great, and with the grind button, you never have to raise the helmet. Best welding hood I have ever owned in my 26 years of welding. Should have bought the welding hood along time ago. Hands down best welding helmet i own , blows the miller and snap on ones away . don,t waste your money on the rest . buy the best ! 9100xxi this helmet is awesome ..
Clearest puddle picture I've ever seen! Great hood, puddle is clear as a bell and the colors are true!!! Haven't had it long enough to know if any problems will develop so will just have to wait and see. ProsThe view and colors are the best, have used Optrel hoods for the last 15 yrs or so and never found anything that compared to them until now. Was having to replace the other brand (Optrel) about every 2 to 3 yrs. Hope this hood last a little longer:) Will have to just wait an see!!! ConsThe price of course, but you get what you pay for and with the aging eyes I need all the help I can get:( The headgear seems to look a little flimsy will see how long it last. Finally a helmet that has a nice light blue shade. Clarity is so much better than the other helmets I tried over the years. I almost want to get another one as a backup. I have 80 hours on the 9100xxi and I absolutely love it. Took a few days to get used to the lens color coming from normal green auto darkening helmets. I work in a fairly dimly lit building and it&s so clear I dont have to constantly lift the hood to see where the next weld starts, just leave it down and go. No more sore neck due to the balance point. The pivot is low and below your ear so you don't have all the weight of the hood sticking out. The headgear is comfy and the hood hasn't dropped unintentionally once. Stays in place! Also I have no need for a bib to keep my neck from getting fried. The 9100xxi has great coverage. ProsLight weight, great clarity, comfortable and easy to setup and adjust. 3m quality! ConsI wish the upper 2 arc sensors were farther up the lens. All 3 are down low. I do a lot of out of position welding where I'm reaching out and up and over stuff and it will flash me on occasion. It's not a sensitivity issue but more of a partial blockage thing. Other than that I love the 9100xxi. Love this helmet and was a great price and shipped fast. The visibility with this helmet is unbelievably clear. ProsGood price and fast shipping. Very clean while welding. I personally like the side windows to be able to see my surroundings. 3M does it again. I've been welding for about 7 years, from fabrication, structural, refineries, oil fields, and off shore drilling platforms. I have been using a 9100X for the past 4 1/2 years and it&s still going strong. I decided to upgrade and went with the 9100XXi. I did a lot of searching and found the best price here on CyberWeld. I wasn't expecting too much of a change going from my old 9100X to the 9100XXi, but was surprised to find that they have made the headgear more robust, when lifting the hood into the park position you can feel it actually lock in. The sliders on the side for adjusting head size are made a little more durable, I've broken the little tabs before on my old hood. Clarity is the best I've seen. and I have tried dozens of different hoods, from different coworkers. my opinion, this hood is worth the money. Got the helmet and used it several times. Had a small problem with the head band called support and they took care of me right away. Good product and great customer service!! Great welding hood, worth the extreme expense if you weld a lot or not best of the best! Great Speedglas, very expensive as they all have been, best of the three I've owned, worth the money, excellent view and clarity, hardly notice the hood on my head, the fitment is complex but more comfort and secure fit with less head vise pressure than the basic clamp bland on the previous models or other brands. Great helmet at a great price. Ordered it Saturday night and had it by Tuesday. Best price, fast delivery. I will buy again. As advertised, quick service. A top notch organization. I purchased this for my brother as his Christmas present. In another 10 days, I'm looking forward to seeing how he likes it. I looked at these helmets at a local welding supplier. They were over 40% higher priced. Thank you CyberWeld for making a great helmet much more affordable! I've been welding for 10 years now. This is my first Speedglas. I love it! Light weight clear and wide viewing area love the side view. I recommend it. I've been looking through these for 30+ years now and this lens is awesome. I had the 9100XX lens and I could see the difference as soon as I put it on. I absolutely love this helmet. It's light and durable. This is my very first so I can't compare it to previously owned helmets but I have used others and this speedglas blows them out of the water. The big guys in my shop all have this helmet and I can see why. I would highly recommend this helmet to anyone that can afford it. It's a bit in price but I think it's worth every penny. Totally worth going broke for. Great optics and adjust ability. ConsExternal grinding switch works poorly. My second Speedglas helmet . First one lasted 15 yrs . Obviously not a budget helmet, but full of features and works great. Pros4 headband adjustments to make it fit perfectly to your head. The large window means I know longer have to use a cheater lens to adjust for my progressive glasses -- I can look down for close work and still see through the lens! Side windows make it safer to work with other people and know where they are. Works well for low power tig. Best welding hood I have ever owned. ProsVery clear, doesn't get foggy because of the breathing slots. It's so lightweight I can't tell I have it on. I am not a professional welder and this was a replacement for my old auto darkening Kobalt helmet that I have had for about 10 years. The advancement in the lens clarity over the last 10 years is unbelievable. It took a while to adjust the head gear just because it has so many adjustments but once done, it is quite comfortable. The only down side was the external button for switching to grind mode. After watching the promotional videos that is the one feature that made me choose the 3M over the Miller. Unfortunately , the 3M videos are a little misleading. They show a guy just lightly touching the side of the helmet to switch. It actually takes 2 hands to make it change. One hand on the opposite side of the helmet to stabilize it and the other to push the button quite hard to get it to switch modes. ConsExternal grind button does not work as advertised. The setup was easy. Viewing range give you great peripheral vision. The clarity during and post arc is incredible. Good comfort and awesome view. 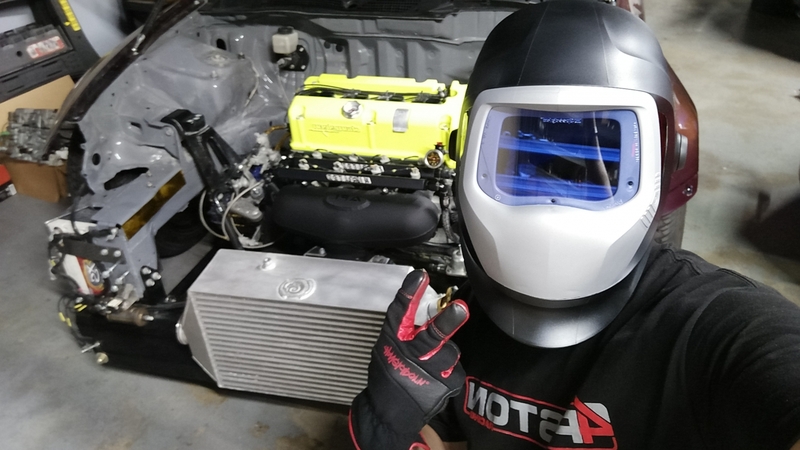 The hood is light and the view of the weld is very clear. CyberWeld on top of the Game!! Always wanted to upgrade my hood, after trying on my buddies 9100xxi I knew I had to have it, shopped around a bit and CyberWeld just had the absolute best price by a good margin AND free shipping as well!! I was blown away I had it within 2 days! cant say enough about such a great and deal and prompt service! will definitely be a customer for life!! Already had 9100xx. 9100xxi is amazing! The clarity and the color is so much better. Didn't think I would like the grind button but it is really handy. I will probably never use my old hood again. Been welding pipe about 28 years .Thanks! ConsI don't think that there are any. I've owned a Jackson EQC and a Miller Digital Infinity, and this 3M Speedglas helmet is by far my favorite. I really like that it covers my ears and neck, as I could tell I was often getting flash burned on the outer edges of my ears. This hood is amazing! A bit expensive but well worth every penny. Definitely a welding helmet for the professional welder . From turning a dark enough shade to fluxcore to switching to Tig welding and having the right amount of sensors to not turn of from your hands blocking the sensor. The band has all the adjusters needed to fit any head and the auto lens easily removes for cleaning. Although a little pricey, it doesn't take to many uses to realize it was money well spent! Don't waste your money buying other welding helmets. Buy this one first, easy to use and you forget you're wearing it. Great product, and fast shipping. Could not be happier with it. My first auto-darkening helmet, and I am extremely impressed. I did a lot of research and decided on this one because of the new filter technology. It far surpassed all of my expectations! Completely blown away by the visibility of the weld area! I am just nervous to put it through too hard of use, because I don't want it to get damaged. Not that I am worried about it's durability, as it seems very well built, but I am very careful to avoid any overhead welding since a replacement lens would be so expensive. I was a little worried about the side windows being distracting, or annoying if another welder is around, but haven't had any issues so far, plus it does come with covers for the side windows if you choose to cover them. However I think it would have been a better design to have them attach to the outside of the helmet, rather than the inside, to ensure that the side windows stay protected. ConsKind of expensive, but still worth it. A little bulkier than some other models you might find, which might make it harder to work in tighter spaces, but not much a problem for me. Been wanting this shield for quite some time. ProsGreat fit, excellent viewing area. The best I ever owned. ProsBig screen and auto on you wont flash your eyes with this one. I had a hobart and I would set it down to do some grinding for a few minutes and then resume welding and flash my eyes because it tuned itself off, not anymore. Best hood I've ever used. I would recommend this to anyone that welds. I also have the 9100x and The extra large view is a great feature. Worth every penny! ConsSeems like it doesn't flip up quite as far as my 9100x but I haven't really had time to sit down and work on all the adjustments. Great Helmet, but worth the extra cost? Great helmet. Large field of view a big plus. But as far as really making my welds easier or better, it's just not over $300 better than my old $79 Hobart "The Hood". If I knew then what I know now I wouldn't have spent that much money. Wish you could try before you buy with something this expensive. But with all that said it's a great hood, if you can spare the money without putting yourself in a bind. I haven't used the old one since this one arrived. Excellent visibility and great air flow through face area. Wish I had bought long ago. Worth every penny. The clarity is above and beyond any other good I've used. Highly recommend. A lot of money, and I would do it again. ProsThe clarity is fantastic, I have been using the WensLens for 2 years, this is the best lens ever. I had to concentrate real hard when welding ss tubing cause the gap is none. With this lens it is so easy to stay in the weld. ConsThe grind mode on the right side of the hood is a cool feature, however when I press it with one finger, there is just enough play in the hood where the lens touches the side that I use the hand to hold the other side of hood. It's not even an inconvenience any longer. Just a lot of money for something so simple to fix! Always been a speedglas fan. For the last 8+ years I've used a 9000v helmet. Just can't believe how long I waited to upgrade. Takes a bit to dial in, but once you have. It's works great!!! ProsSuper clear and natural view. I cannot believe how clear the 9100xxi lens is! I like being able to change from welding to grinding or plasma cutting modes without having to lift the hood. The tinted clear sides are awesome too with the peripheral view. The helmet is really comfortable and I use it for long periods with no fatigue. It is pricey but you get what you pay for. To be fair - this is the 1st auto-darkening helmet I ever had - I don't buy cheap so I went for what had the best reviews. So all I can say is that it was worth the money. The difference in the neatness and quality of the welds was immediate. Just makes the whole process so much easier. You never have to lift the helmet. I'm a welder by trade and this is the best welding good I've had so far. My last hood was 3m 9100x and this 9100xxi is by far a huge upgrade! Worth every penny! Helmet has excellent optics and the wide side view is great. The incorporated air filter is a good health and safety feature. Excellent for nickel and chrome alloys (ss). ConsNot as good for very low current work as my other high end helmet which is preferred for light aluminium work. I had the 9100x, which is an amazing hood, but this is so far and beyond. One guy I work wth already sold his 9100x to buy this hood. I wasn't sure about it at first because of the price, but now that I have used it I must say it was worth every penny... Buy once cry once. Had this since May thought I've used it enough now to give a good review. Nervous about ordering high dollar item online but all was good. When I first got it the grind button didn't work right called Speedglass and they sent me a new gray trim piece right away. I run a welding and machine shop so this is used on all processes tig mig stick flux core plasma cutting and gouging steel aluminum and stainless.The size of view and clarity is great and the outside cover plates are tough and last real well. The headgear is really comfortable not real handy to slip on real fast and doing overhead work the forehead band tends to slide up but the comfort offsets that. One thing I wasn't aware of that there is two shade program settings . This is one of the slickest features. I was on a project the other day had one setting on torch shade 5 and weld shade 11 could cut grind and weld without lifting the helmet. Saved a lot of time. As far as the money it's worth every penny. All it offers is well worth it. I look at it as a tool purchase just like a mechanic with a rolling box full of tools. So if in doubt just buy it. PS I have a Jackson 3n1 and a big window fixed shade Fiber Metal was gonna save them for the "rough work" but now they pretty much gather dust. ConsNothing major just the headgear quirks but still better than other high end helmets. The vision is exactly that, vision! By far the best helmet I have ever owned. Worth every penny and I highly recommend it! ProsComfortable, very clear, huge lens, side windows are great! I've been welding for a long time with many different auto dark hoods this is by far the best one I've had. I absolutely love it!! ProsLight weight. Super comfy. Love the grind feature. Took a while to decide on this hood but could not be more satisfied with the quality and performance. This helmet pretty much rocks. The headgear is a little finicky to set up, but works well once set up. I bought this helmet for several reasons, but the main reason is that 3M makes it and they make the respirator designed to fit under it. The downward exhaust filter doesn't fog the lens and the helmet headgear doesn't interfere with the filter straps. A thought out system. Makes it a reasonable experience to wear a respirator (round pink vapor canisters, not the trapezoidal charcoal ones). The lens on the Speedglas is the big treat. I have been using a Miller helmet for years and switching to this blue-ish lens is a revelation. The puddle as a whole is more visible and, as an old guy, the magnifier lens fits right in a channel that is adjustable up and down so you can dial in where it is when the helmet is down. I use the helmet for TIG only, no grinding, so I can't speak to any other features. Not cheap, but I'd buy another one just like it. My only small gripe is that 3M didn't make it an easy helmet to grab one handed when it's lying on your bench. Helmet is lightweight and comfortable the headband is easy to adjust. The side windows are a added plus that you will immediately appreciate. The elusive "weld puddle" is easily seen. You will appreciate how well this helmet is vented. Be sure to purchase the 3M Speedglas Welding Helmet Crown Extended Coverage 06-0500-51, which will block out all glare. I also own a Jackson Nexgen that will not compare to the 9100xxi. 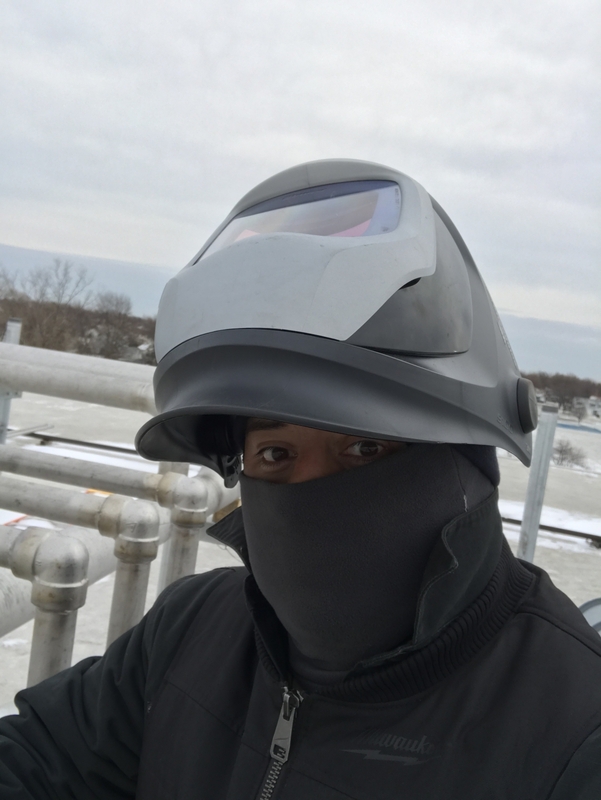 This helmet is worth every penny spent especially if you are serious about welding and eye safety. To say... its like comparing a Lamborghini to a Volkswagen. If you think your satisfied driving a Volkswagen, drive it, you will get from point A to point B. BUT, if you try the Lamborghini, you will realize the there is no comparing the two. Borrow one at the job and see for yourself.